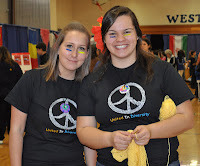 One of my favorite weekends of the year is Culture Fair weekend and this one did not disappoint. On Saturday the high school became a blending of worlds and cultures as dozens of different countries and backgrounds were celebrated. There were all kinds of foods, and I could not help but stray from my diet a bit. I know that the Italy station went through nine pounds of meatballs in the first hour! Thank you to all who were involved in making this annual day a complete success! The night before, I had a chance to play basketball with staff members from the high school. We played against the students in an event known as Hoops for Hope. We all had a lot of fun, and thanks to some crafty scoreboard work, the staff won. A reflection of the event caused me to realize that nearly every subject was taught or displayed. The Fine Arts program was represented with the singing of the National Anthem, Mr. Newvine taught us some English by sharing some new vocabulary words as the announcer, and the kids taught me some Math by converting my shooting skills from a fraction to a percent (closer to 0% than I would like to admit). The game itself was the Physical Education, History repeated itself with a staff victory, and we even hit on some Business because when Mr. Hallinan shot three's, the bank was open. Again thanks to all staff, students, and the community for making it a very enjoyable night. This week will be pretty busy as well. There is the National Honor Society induction, a C.O.D.E. graduation, and I get to see the MythBusters Tour. Have a great week! If you were like me this weekend you overworked yourself and are now sitting at work sore but with a sense of accomplishment. I would like to give a plug to the Onondaga Creek Walk, and look forward to when Onondaga Lake is cleaned for real so that when I reach the end of the trail the view will be absolutely incredible. Not quite as amazing was the mess on all of the streets downtown after the St Patrick's Day parade, and I am thankful to all of the workers who spent a lot of time cleaning up in time for the Monday morning commute. Winter Sports: We received some excellent news last week in a couple of different areas. First, five of our winter sports teams received the Scholar/Team Award from Section III Athletics. 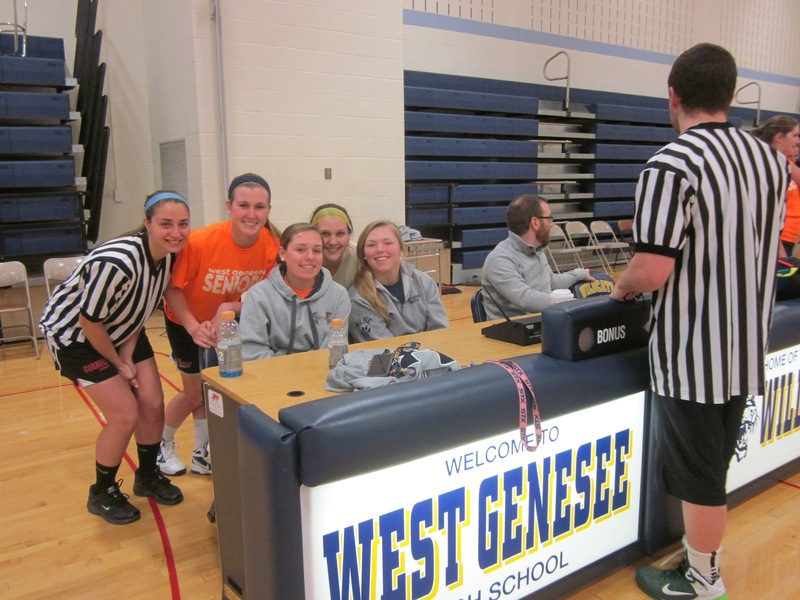 The teams were Hockey, Boys Basketball, Girls Basketball, Girls Indoor Track, and Boys Indoor Track. Girls Cheerleading also met the requirements, although not recognized by the state. This means that as teams, their cumulative averages were 90% or better. I am always proud to receive these awards because it continues to show that we put academics first. Congratulations. Pink Slime-What is this? : We also received word that the beef that we serve DOES NOT contain the additive known as "Pink Slime". Pink Slime has gotten some press lately and parents want to know if their children are being exposed to this ingredient. To learn about pink slime, click here (there are also other articles via a quick Internet search), but rest assured that the school food we serve, including the $50 per week that my kids spend on it, is safe and tasty. Redistricting Information Available on Website: If you are not aware, our new website has a section that is completely dedicated to our redistricting study. You can find that section by clicking here or by clicking on Redistricting Information under the Quick Links heading on the right hand side of our home page. Through a series of meetings, the committee has worked very diligently and are well on their way towards finalizing some recommendations. Those suggestions will then be considered by our consultants as they draft a final plan to present to the Board of Education in late May or early June. Hoops for Hope: This week is going to be plenty busy and will end for me on Friday with a staff versus student basketball game at the high school. I always look forward to this and my goal is to score a few points, have fun, and embarrass my kids who will be playing as well. I am up for the challenge and hope to find success in achieving my goals. Update on Recent Bomb Threats: I have been asked by several people about how we are handling the recent bomb threats that have occurred, and how we will be handling things moving forward. These questions are very fair. The best way to answer those questions is to say that we are not going to celebrate those who have been caught. I think knowing that the culprits are still in city jail two weeks after the events says it all. Going forward, we will continue to take any threats very seriously while minimizing disruption to the educational process. It is very possible that students may choose to "copy cat" their peers. If and when this occurrs, the school safety plan will be used in conjunction with local authorities. We do not use a consistent process each time for what I hope are obvious reasons. Social media, parent contact, or media notifications will not be used each time unless we feel that a situation is a true threat and information needs to get out to people to keep them informed. If you have any questions about this, please feel free to contact me and know that I appreciate your continued trust and support. Enjoy the week. It is going to be busy, nice, and greener by the day. I will admit it was pretty tough to get up on Sunday morning. I could blame it on the Tipp Hill Run or getting home late from taking in Reaching for Marsby downtown, but either of those excuses for being a little slow on Sunday morning would be indicators that I am getting old. It must have been the time change. That transcends age and sounds like the best excuse to me! Congratulations to the Academic Decathlon's 3rd place finish at the New York State's Championship over the weekend. The team tallied a total of 26 medals led by Emma Ryan, Andrew Fordyce, Kristina Konfederat and Alexander Pompo. Also contributing to the teams success were Kenneth Brill, Jerry Roy, Michael Richards, Lindsay Grome, Megan Nolan, Callie Campbell, Megan Petty, Nicholas Serrao, Tatyana Shakhov, John Lisi and Lauren Brieant. 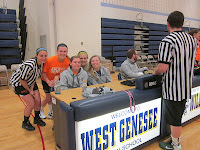 Nice Job representing West Genesee's excellent academic reputation! Congratulations to the hockey team. While they came up just short of another state championship, they showed true poise through the entire season which culminated with a four overtime/shoot out loss to a very formidable opponent. Thanks for a great season. Believe it or not, spring sports start today for our varsity and junior varsity teams! KONY2012-What is it? : If you were to ask anyone to describe me with one word, "activist" would not be one of them. That being said, if you want to know what your high school kids are talking about the answer would most certainly be "KONY2012". The KONY movement was started by a viral video created by an organization titled, Invisible Children Inc. The goal of the organization is to have young people and key adults (high school students, college students, celebrities, and public figures are the target audience) use the tools that they know best, texting, Twitter, Facebook, and Youtube to make Joseph Kony famous and therefore visible to parties trying to remove him from power. Kony is the head of an African resistance group who is known to be abusive on several levels to women and children. Still following me? It sounds like a movie script, and there are certainly criticisms against the sponsoring organization as well. The bottom line, however, is that our students and their peers across the country are very aware of the movement and they want to get involved. The viral video is about 30 minutes long and can be found with a quick Internet search. I would rate the video PG-13, and I would recommend that you take a look at it if you want to be plugged into what your high school or college-age students are becoming a part of right now. We spoke about the whole thing at our dinner table one night, and it was certainly a more interesting conversation than the usual "Is your homework done and are your rooms clean?" we will have a tax levy that falls below the tax cap. Redistricting Update: Last week we held our fourth redistricting meeting and again it was very well attended. You can find the minutes from that meeting, as well as the presentation that was given, on our website from the quicklinks section of the homepage. This project is coming into focus and the last two meetings will reveal the final proposals for the Board to consider for 2013-2014. Stay tuned and thanks to all who have been attending the meetings. I am looking forward to the Festival of Bands later this week as well as a continuation of this warm weather! I wanted to publish one last post about the status of our bomb threat investigation before we move on to other things. As you know from my previous postings, we received notification that a high school specific bomb threat had been written on a bathroom wall in the high school on Tuesday, March 6. As a result of a thorough investigation, the person responsible for that threat was arrested on Wednesday, March 7. Also on Wednesday, March 7, a young lady decided to try and "copy-cat" the threat from the day before. Unfortunately for her someone walked in and saw her before the ink was dry and she was taken into custody and arrested. I have been asked why I released the names of the students to the media. I did not. The students are both considered adults in the eyes of the law and were arrested and arraigned as adults which made their names available to the public. Both individuals were sent to jail on $20,000 cash or $50,000 bond. They were both charged with falsely reporting an incident which is a "Class D" Felony. They will both face these charges as adults through the criminal justice system, and both will also face "Superintendent's Hearings" which is a process where suspensions of over five days are considered, and they certainly will be. Lastly, the process of evacuating the building, bringing bomb dogs to school, having bus drivers available, the cost of lunches that were not served, as well as other items related to this issue all have costs associated with them. These costs will be calculated and each of the two individuals responsible for our school disruption will also be responsible for paying this money back to the various organizations that were involved. The bottom line is that it really doesn't matter where you go to school or work. People can make bad decisions. In our case two people made decisions that are going to have long reaching impact for them. If you are a student reading this, please think about what has happened and do not make the same poor choices. If you are a parent reading this, please have a conversation about the impact of choices with your children. This is the last that I will mention these events as we have much more important work to do and what happened was not glamorous, cool, or something that anyone should support. Time to move back to normal. I would like to take this opportunity to thank all of you for your cooperation during our bomb threat dismissal today at the high school. Moving approximately 2,000 people from one place to the other, when time is of the essence due to the cold, is no small undertaking. Everyone from the students, staff, administration, and local authorities helped make things run as smooth as possible. This incident remains an open investigation, but I can share that the high school administration was made aware of a high school specific bomb threat around lunch time. They immediately reported it to me, and we initiated our school safety plan for such events. Our transportation department had warm buses waiting for our students and staff and it took approximately eight minutes for everyone to be on a bus. Within twenty minutes everyone was accounted for, and we just waited for direction from the police as to how long it would take to properly sweep the building to make it all clear to return. We learned that it was going to take longer than the regular school day, so we decided to dismiss students and by approximately 1:34 p.m. all of the buses were on the way to deliver students home. We used Twitter (@cbrownwgcsd), SNN, our website, and Facebook to keep people informed as we worked through the process. I am very appreciative of all of the parents, students, and members of the media who "re-tweeted" or shared our factual and timely information so that everyone knew that all involved were safe, warm, and were going to get home safely. We are actively investigating leads and hope to have a culprit in custody shortly. Again, thank you for your patience, cooperation, and action. We will see you back at school bright and early tomorrow. We had a very busy week in academics and athletics last week. Academically, we announced our Top Ten of the Class of 2012, seniors began to hear back from the colleges that they were accepted to, and many different students at Camillus Middle School competed for the honor of winning the Camillus Optimists Speech District contest. The speech contest winners at CMS for the boys are Aren Burnside and Jack Barrett; and for the girls, Mackenzie Kittell and Haley Winks. The students from WGMS that competed on February 16, and who will also compete at the District Contest on March 14, are for the boys Mark Kopp and Nicholas Cantello; and for the girls, Helene Ferner and Hannah Humphreys. Congratulations to all. In athletics, the Girls Basketball team took on a formidable team from Cicero-North Syracuse in the Carrier Dome. They fought valiantly against an incredibly strong opponent (one of their players will be playing for UConn next year) and came up short, but they definitely made us proud as they left it all on the court and represented our community very well. 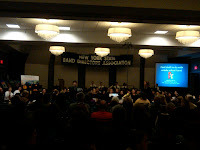 Congratulations to the runners who earned their way to the podium at the NYS Championship in Cornell University’s Barton Hall on March 3. Kelly Powell (Section III Intersectional Relay-600) ran with two Cazenovia and one Skaneateles runner and came in 6th place. Martin Leff (1600m) came in 5th place for public schools and 8th place overall. Luke Potash (300m) also competed, placing 26th. The NYS Swimming and Diving competition was also this past weekend. Congratulations to Joshua Byrne who competed in Diving. The Swimming team was also be represented at the competition with: 400 medly relay: Matthew O'Donnell, Collin Zapisek, Tyler Zapisek, Ian Bushnell; 200 medly relay: Matthew O'Donnell, Jacob Mullett, Tyler Zapisek, Ian Bushnell; 100 Butterfly: Matthew O'Donnell, Tyler Zapisek; and 200 individual medly: Tyler Zapisek. The swimmers all made it to the finals, and each relay made it into the top 20. Our hockey team took on a pesky opponent in Niagara-Wheatfield on Saturday to a nearly full house at Shove Park. Defense and determination caused the Wildcats to wind up with the eventual upper hand and they will be returning to the "Frozen Four" next weekend at the Utica Auditorium to try and re-capture the state title. Go 'Cats! 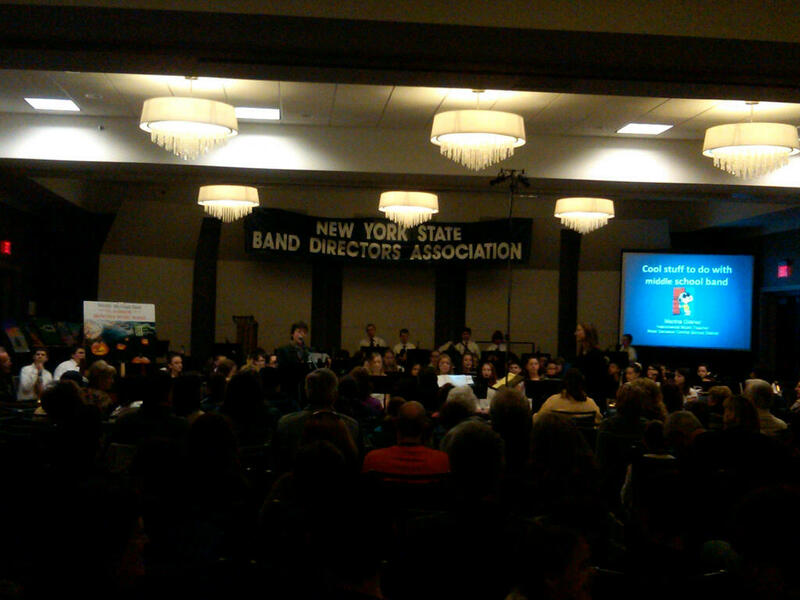 Martha Grener and the WGMS 8th Grade Band performed at the NYS Band Directors Symposium on March 3 and by all accounts did a great job representing our District. Also last week I was invited by the District Leadership Institute (who also picked up the tab!) to attend a national think tank about issues in education. I was one of 64 superintendents from across the country to have been invited to this event in Phoenix, Arizona. Over the course of two days we interacted directly with the developers of textbooks, software programs, and pieces of hardware to let them know what we think students and teachers need to do their jobs more efficiently and effectively. This is the first conference that I have walked away from in nearly thirteen years of being a superintendent where I actually felt smarter. Working with the actual developers of products like Google Chrome, Google Docs, The Discovery Channel, Pearson, and others was very inspirational because their products will now change based on OUR recommendations for children all across the country. Pretty cool. We also conducted several round-tables where we discussed issues such as the Common Core Learning Standards, bullying, performance review systems, both local and state budgeting, wellness and nutrition in food service, special education, and English as a Second Language (ELL). It was very interesting to hear national perspectives on all of these issues and reassuring to hear that for the most part all of us are in the same boat except for one superintendent who I now consider a friend from a district located on an island in Maine (he takes an hour and a half ferry ride to get to the island). He was the only one who mentioned that he did not have any cyber bullying issues in his district. Shocked, we all asked what the key to his success was. He said that there is no cell phone service and limited Internet access on the island so very few students have cell phones or Facebook accounts! I also met another superintendent from California, another new friend, who has twenty percent of his students that do not speak English. Instead of having separate rooms and programs, as we do with our ELL students, every teacher is required to take two classes about teaching limited English speaking students and ALL of their ELL students are in regularly scheduled classes with all of the other students. The popular personal language learning program, Rosetta Stone, is also used. Interesting concepts and enlightening to hear about what is happening in other states. We all stole ideas from each other, and I am looking forward to trying some of the things that I learned from others in our District. 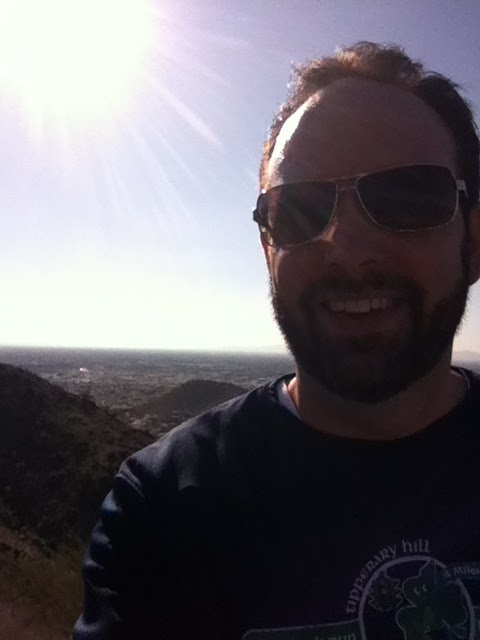 I also had a short period of down time, and I used that time to hike alone about three miles into the desert and climb to the top of a desert mountain that was about 2,000 feet above sea level. At the top I spotted road runners, a desert rat (they weigh about 30 pounds and look like a cross between a rabbit and a kangaroo), many different types of cacti, tumble-weeds, and a border patrol helicopter. Considering that I was in my running shoes and shorts and did not stay on the marked paths, I am glad that I was not warned about the scorpions and rattle snakes until after I got back to the conference center! Stay tuned this week for information about our first 2012-2013 budget presentation to be held on Wednesday at 7:00 p.m. in the high school library, as well as the fourth redistricting meeting that will be held at Split Rock Elementary at 6:30 p.m. in the "Cafetorium". Have a wonderful and productive week.